Looking for an elegant alternative to a standard guestbook? 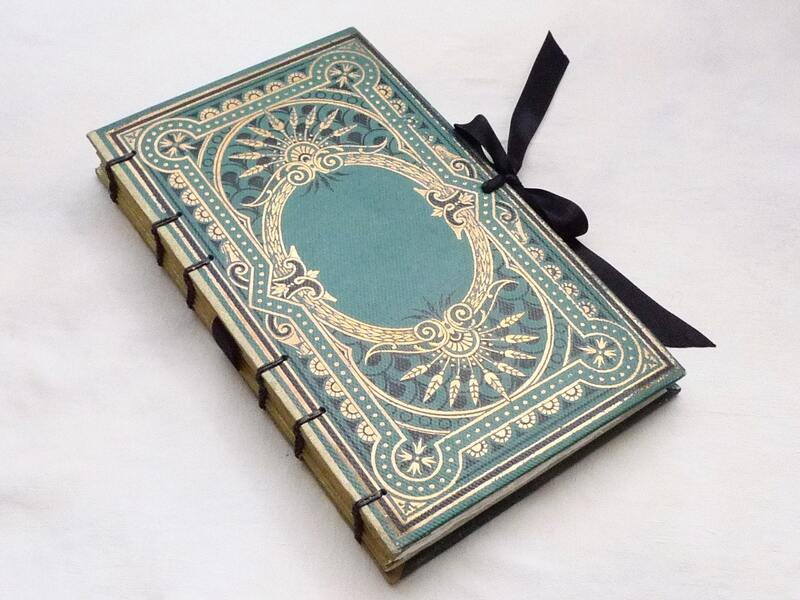 Spellbinderie offers unique bespoke keepsakes that are bound to be remembered! 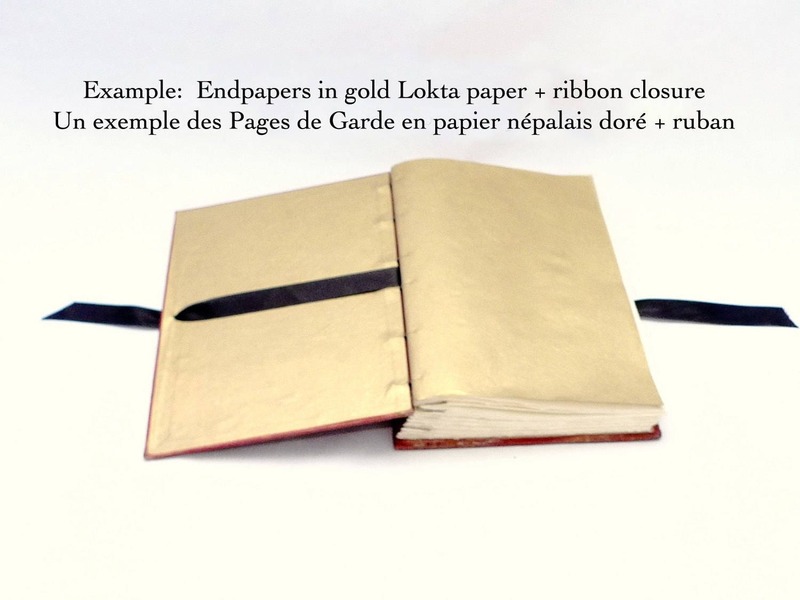 Made to order from an authentic antique French book rebound with quality hand-torn ivory paper with the option to personalized the book with your names and wedding date or other text of your choosing. using the shop menu found on the left side (available books organized by size/style). Didn't find what you were looking for? Contact me to source a book. Once a book is found, you can pay through this listing. 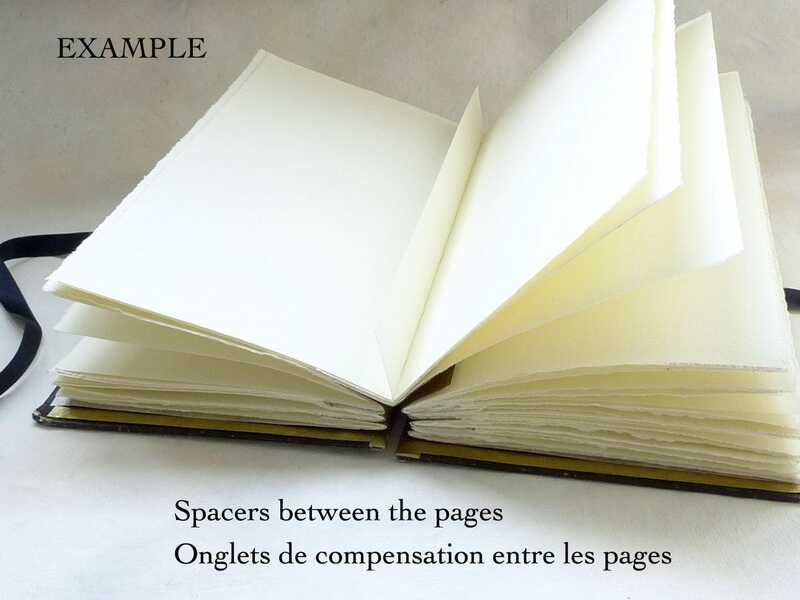 Pricing is provided for a standard sized book that I've sourced for you, made with one of the below packages. 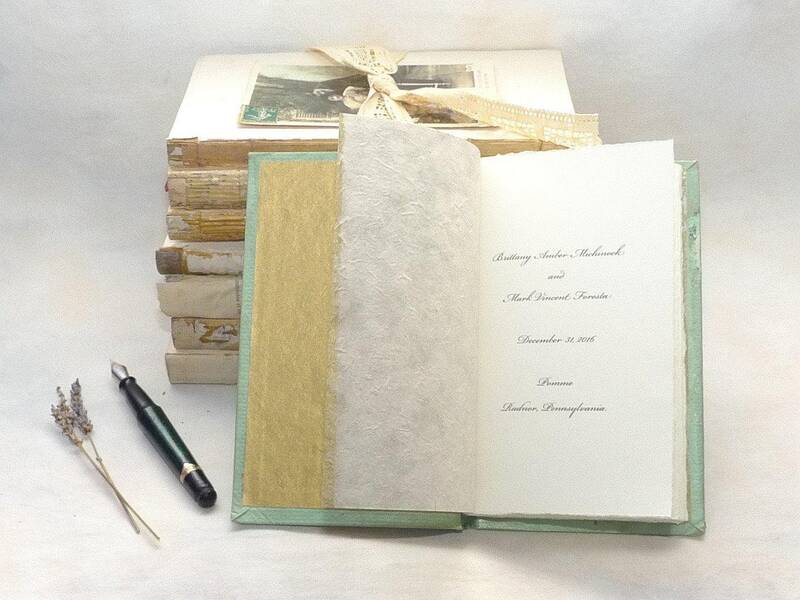 All the above packages can be made as a TRADITIONAL guestbook or as a SCRAPBOOK style guestbook. 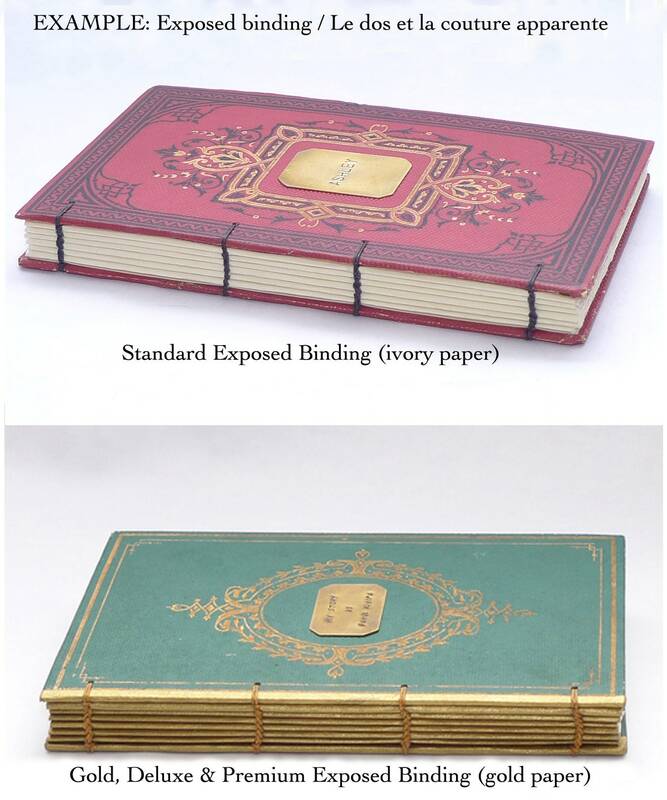 Scrapbooks have spacers interleaved with the ivory pages to expand the spine. 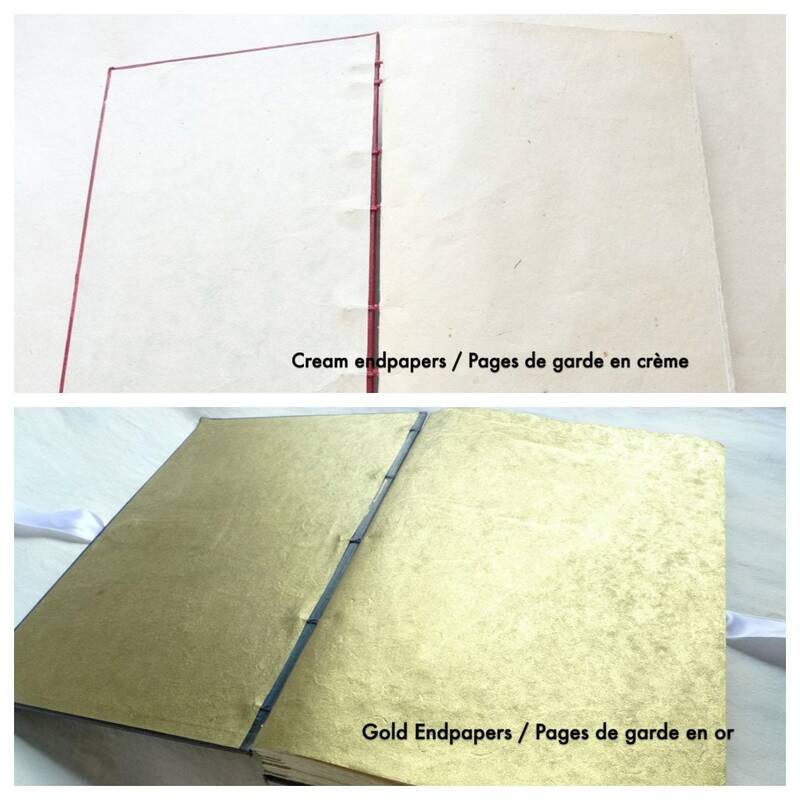 This allows room in the binding for photos & mementos to be added later. This option is recommended if you want to add photos to most of your guestbook pages. This item is custom made, please allow additional time for it to be ready to ship. Click on the shipping tab for the processing time estimate. Perfection. Better than I expected. Its absolutely stunning. Can't wait to use it at the wedding. Karen is a pleasure to work with. Thank you!